Poland’s 38-million strong consumer market is one of the biggest in Europe. The country’s favourable location, in the centre of Europe, where the main communication routs intersect, makes it possible to export goods to all European countries and thus reach over 500 million consumers. Poland’s major trade partners are, among others, Germany, Russia, China, France, the UK, Italy, Hungary, Ukraine and Spain. Well-educated Polish economists, engineers, IT specialists and scientists are highly sought-after and appreciated employees who find employment in IT companies, R&D centres and scientific institutes. Every year, the number of graduates of Polish universities increase, including faculties useful in high-tech industries. The country’s sustainable development has much to do with the its solid economic foundations. The global economic crisis has not harmed Poland, which is the only country in Europe to have avoided a recession, and additionally has developed at the highest rate on the continent. Assessment of the investment climate for foreign entrepreneurs every year is getting better. All the factors together with the country’s international safety and stability guaranteed by Poland’s membership in NATO and the EU make Poland a credible and important business partner for foreign investors. Among the most important challenges to be faced by the country in the foreseeable future there are issues connected with the adoption of the single European currency and all criteria which the country has to meet in order to enter the euro zone. World class concerns often choose Poland as an investment destination in Europe. According to Bloomberg Rankings 2013 Poland is the best CEE country for business. In FDI Intelligence Report Poland took 3rd place worldwide, behind China and the USA, as the best quality location for manufacturing projects. According to the report of European Attractiveness prepared by Ernst & Young, in the next three years Poland will be the second in Europe (after Germany) most attractive country for investment. The report highlighted a very stable macroeconomic situation of the Poland noting that it was the only country in the EU, to avoid recession in 2009, and since the crisis has reached far the highest growth not only in the region but throughout the European Union. As the strengths of Poland, other than a stable macroeconomic situation, the experts E&Y have mentioned the availability of well qualified and productive employees, business friendly climate and transparent tax and legal systems. The business climate in our country is improving. 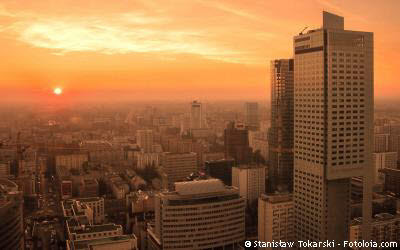 A World Bank report Doing Business 2013 confirms that Poland was the global top improver in the past year. It enhanced the ease of doing business through four institutional or regulatory reforms, making it easier to register property, pay taxes, enforce contracts, and resolve insolvency. Poland is a country with a number of tourist and sport opportunities. The diversity of landscape and natural wealth together with the wide range of recreation forms ranging from sea sports through lake yachting, skiing and mountain climbing attract tourists from all over the world. Recreational tourist opportunities may effectively be completed with elements of Poland’s rich cultural heritage and history.